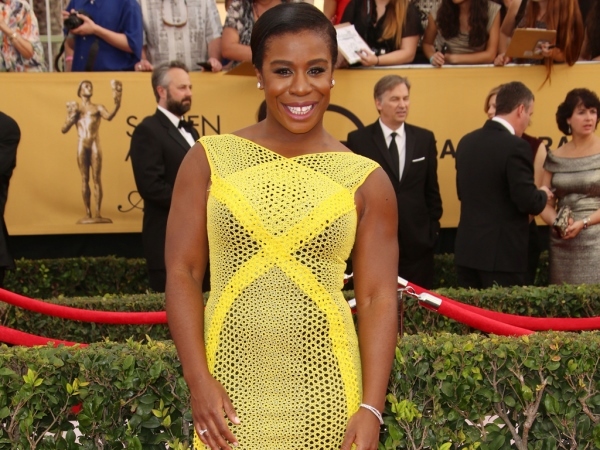 Uzo Aduba feels proud to work with such incredible women on Orange Is the New Black. The 34-year-old actress plays Suzanne ‘Crazy Eyes’ Warren in the hit Netflix show, which also stars Taylor Schilling, Laura Prepon and Taryn Manning. And in a heartfelt blog about working on the series, Uzo says she considers herself lucky to have been given the opportunity to team up with such a talented group of women. “I’m pretty sure I never imagined myself calling a prison ‘home’,” Uzo wrote in the blog for EW.com. “However, that’s exactly what the experience of being part of now a third season of, Orange Is the New Black has become for me. The series deals with some difficult subject matters, including Suzanne’s mental illness. But Uzo says taking on such storylines has just helped further her bond with her co-stars. “I love these women. There is a bond and a trust born out of our shared experience I could not begin to explain, nor am I confident could be thoroughly understood outside of our tribe. I imagine the uncounted women who have lived through what our characters can only dramatise might echo that sentiment.